Law No. 12,529 of 30 November 2011 (the Brazilian Competition Act) is the main legal source setting out the antitrust law applicable to antitrust conduct in Brazil, including vertical restraints. The Brazilian Competition Act came into effect on 28 May 2012, replacing Law No. 8,884/94 and introducing several important changes to the Brazilian antitrust system. The Administrative Council for Economic Defence (CADE), the Brazilian competition authority, has been empowered with both investigative and decision-making attributions, in addition to the necessary independency to comply with its legal obligations. The Brazilian Competition Act does not provide for a definition of vertical restraints, and specific guidelines in this respect are yet to be issued by the authorities. In this context, CADE currently relies on former regulations issued during the previous legal regime, including CADE Resolution No. 20 of 9 June 1999 (Resolution CADE 20/99), which has been partially revoked, but sets out an important analysis of possible anticompetitive practices, including a definition of what characterises vertical restraints. Past rulings issued by the authorities are also an important source of guidance when it comes to vertical restraints, although the commissioners at CADE are not bound to past decisions when evaluating new cases, meaning that they are completely independent to form their own conviction in ruling a case, based on the specificities applicable therein, within the boundaries provided by the legislation. In addition to administrative liabilities that may arise from a CADE ruling, anticompetitive vertical restraints may give rise to private claims in Brazil. Article 47 of the Brazilian Competition Act establishes that injured parties can actively go to court to defend their individual or collective interests, to end anticompetitive practices and to seek redress of losses and damages regardless of the existence of an administrative proceeding. conditioning the sale of goods to acquisition of others or to use of services, or conditioning the provision of services to use of another or to acquisition of goods. As mentioned above, the Brazilian Competition Act does not contain a formal definition of vertical restraints. Resolution CADE 20/99, on the other hand, establishes that vertical restrictive trade practices are restrictions imposed by manufactures or suppliers of products and services in a certain market (market of origin) on vertically related market downstream or upstream along the production chain (the target market). It connects the practice to the existence of a dominant position and states that vertical restraints may raise antitrust issues when they imply the creation of mechanisms that exclude rivals, whether by increasing the barriers to entry or costs of competitors, or, further, when they increase the probability of concerted exercise of market power by manufactures or suppliers, through practices that enable them to overcome obstacles to the collusion that would otherwise exist. In addition to pursuing economic objectives, CADE is also responsible for fostering and promoting the culture of competition in Brazil, as well as assisting in the oversight of certain constitutional principles (mainly provided in article 170 of the Brazilian Federal Constitution), including consumer protection, freedom of enterprise and the social role of private property. In the administrative sphere, CADE is the authority responsible for enforcing prohibitions on anticompetitive vertical restraints. CADE’s structure is composed of the General Superintendence, which is responsible for the investigative phase of a preliminary investigation, consultation or administrative proceeding; and the Tribunal, with six commissioners and a chairperson, which is responsible for final rulings. Paragraph 2 of article 9 of Law No. 12,529/11 establishes that Tribunal decisions are not subject to revision by the executive branch, and must be promptly enforced. Nevertheless, all decisions issued by CADE may be subject to judicial review, and the enforcement of CADE’s decisions may also be made through the judiciary branch, by initiative of CADE’s General Attorney. Article 2 of Law No. 12,529/11 sets out the territoriality principle, by establishing that CADE will have jurisdiction over any acts, including vertical restraints, wholly or partially performed within the Brazilian territory, or the effects of which are or may be suffered there. In other words, the Brazilian Competition Act may be applied to practices taking place abroad, but capable of producing effects in Brazil. To date, there have been no cases analysed by CADE in which the law has been applied extraterritorially against alleged anticompetitive vertical restraints in a pure internet context. In Administrative Proceeding 08700.009082/2013-03 (see question 32), CADE’s General Superintendence briefly restated that, according to article 2 of Law No. 12,529/11, the effects theory should be taken into consideration in analysing CADE’s jurisdiction to conduct an investigation. According to the authorities, however, such analysis would depend on the evaluation of the merits themselves, considering that it would depend on the occurrence of the practice and its effects. The Brazilian Competition Act has adopted a mechanism based on subjective criteria, in which the determination on whether a given practice constitutes an economic violation must be made on a case-by-case basis. There is no specific substantive test for verification of an antitrust violation, but, rather, the Act sets forth broad and generic principles to aid the analysis of each case, essentially guided by the application of the rule of reason principle. In other words, according to the definition provided above, vertical restraints of trade are not illegal per se, but may raise antitrust issues when implying the creation of exclusionary mechanisms. Additionally, as in the case of horizontal restrictions, vertical restrictive practices could only be deemed a violation if the agent holds market power in the relevant market of origin, and an effect on a substantial share of the market that is the target of such practices is demonstrated, typifying a risk of harming the competition. Finally, it is important to mention that, as recognised by CADE, although vertical restraints may, in some cases, limit free competition, in other circumstances they may also bring benefits, which must be weighed against the potential anticompetitive consequences, in accordance with the rule of reason principle. Article 36 of the Brazilian Competition Act establishes that the law applies to anticompetitive practices, including vertical restraints, and should encompass individuals, public or private companies, as well as any individual or corporate associations, established de facto or de jure - even on a provisional basis - irrespective of separate legal identity, and notwithstanding the exercise of activities regarded as a legal monopoly. Therefore, there are no exemptions to the application of the Brazilian Competition Act to public entities, and to date important public companies, such as Petrobras, Banco do Brasil and Empresa Brasileira de Correios e Telégrafos have already been investigated by CADE. Early in 2018, CADE and the Brazilian Central Bank (BACEN) entered into a memorandum of understanding, which provides for cooperation between the entities, including in the investigation of offences to the economic order. The document provides for the facilitation of the exchange of information or cooperation between CADE and BACEN regarding possible anticompetitive practices, that could be used to preserve competition in the financial market. The memorandum also provides for prior communication by CADE to BACEN of sanctions to be applied to regulated entities by the antitrust authorities. Law No. 6,729/79 regulates the relationship between manufacturers and distributors in the motor car industry and sets forth rules on territorial and customer restraints. In addition, regulated industries, such as telecommunication, energy and healthcare, have specific agencies providing for industry-specific laws (ANATEL, ANEEL and ANS or ANVISA, respectively). No. The Brazilian Competition Act applies indistinctly to any conduct that may harm competition, including vertical restraints. As mentioned above, however, vertical restrictive practices should only be deemed a violation if the undertaking holds a dominant market position, which is presumed when the company or its economic group has at least 20 per cent of a relevant market. Such threshold may be altered by the authorities depending on the characteristics of the market. The Brazilian Competition Act does not provide for a specific definition of agreement. For the concept of vertical restraints and the instances in which it can raise antitrust concerns, as provided by Resolution CADE 20/99, see questions 2 and 5. The wording of article 36 of the Brazilian Competition Act is sufficiently broad to determine that any arrangement, either formal or informal, may be subject to antitrust scrutiny in Brazil. In 2009, for instance, AmBev, a leading brewery company with approximately 70 per cent market share at the time, was condemned by CADE to the payment of a fine amounting to 352 million reais, owing to the adoption of a loyalty and bonus programme with distributors: the company started awarding its distributors with gifts and discounts for the purchase of AmBev’s products. The authorities understood that the programme created incentives for exclusivity arrangements, ultimately giving rise to market foreclosure. The Brazilian Competition Act does not provide for the concept of ‘related company’, but rather makes reference to an ‘economic group’ of companies. CADE Resolution No. 2 of 29 May 2012 (Resolution CADE 02/12) defines the following as belonging to the same economic group: entities under the same control and all companies in which the entities subject to common control hold, directly or indirectly, at least 20 per cent of the total or voting corporate capital. Although such definition has been introduced in the context of merger control filing thresholds, it may also be adopted as a reference for anticompetitive practices. Vertical restraint rules may apply to agreements between companies belonging to the same economic group whenever they lead to anticompetitive effects, such as exclusionary purposes. Vertical restraint rules provided by the Brazilian Competition Act apply indistinctly to agent-principal agreements whenever they result in anticompetitive effects, aiming at, for instance, exclusionary purposes or any other type of abuse of dominant position (see question 2). See the general definition of economic group detailed in question 11. This is also provided by Resolution CADE No. 02/12. Restraints involving IPRs are assessed by CADE under the same rules and provisions as any other vertical restraint. In this respect, paragraph 3 of article 36 of the Brazilian Competition Act expressly includes the abusive exercise or exploitation of industrial or intellectual property rights, technology or brands in its illustrative list of acts that may be deemed as an anticompetitive practices. This may be the case, for instance, when there is the discrimination of distributors or licensees of a certain product protected by IPR. Therefore, the Brazilian Competition Act should apply indistinctly to purely antitrust restraints, as well as to agreements where there are provisions granting IPRs. In the latter case, the authorities will certainly weigh the pros and cons related to the presence of IPRs, which will also influence CADE’s final decision. final assessment (balance) of the anticompetitive effects and the economic efficiencies of the practice. According to Resolution CADE 20/99, which is based on the rule of reason, practices whose anticompetitive effects cannot be sufficiently offset by possible compensatory benefits or efficiencies should be convicted and penalised by CADE (see question 52). As mentioned above, holding a dominant position in an investigated market is determinant when assessing the legality of vertical restraints of trade. Article 36 of Law No. 12,529/11 sets forth that a dominant position is presumed when a company or group of companies hold at least 20 per cent of the relevant market, even though CADE may change said percentage on a case-by-case basis. In any case, the thresholds represent an important guidance to private parties, as it is unlikely that sanctions would be imposed in the absence of market power. In a recent consultation (Consultation No. 08700.004594/2018-80) filed with CADE involving the legality of a minimum advertised price policy (MAPP) to be implemented by Continental do Brasil Produtos Automotivos Ltda (Continental) in the aftermarket tyres segment, the authorities concluded that the market shares held by Continental were lower than the 20 per cent threshold established by the Brazilian Competition Act and therefore the company lacked market power. As a result, CADE concluded that the intended commercial policy was legal. In such ruling, CADE expressly stated that, even though its past rulings may indicate that price-based vertical restraints are presumed to be unlawful, such presumption may be disregarded if the defendant succeeds in demonstrating that in the absence of market power, whether unilateral or coordinated, it is not a credible possibility that the market could be harmed by a given commercial practice. Further, in another administrative proceeding recently ruled by CADE, the authorities understood that Unilever Brasil Ltda (Unilever) restricted the access of competitors to distribution channels in the ice cream market, therefore violating article 36 of Law No. 12,529/11. During its investigation, CADE undertook a market analysis, ultimately concluding that the company would have a dominant position, with market shares exceeding 20 per cent, and decades of leadership in the Brazilian ice cream market (Administrative Proceeding No. 08012.007423/2006-27). A widely used practice by suppliers should not be interpreted as a safe conduct. If the presumptions of market power are present and the practices may harm the market and consumers, the authorities are entitled to investigate and punish companies adopting anticompetitive vertical restraints. The buyer’s market share is also taken into consideration by CADE in evaluating vertical restraints. In fact, the market share’s analysis is oriented by the market in which the restriction is imposed (ie, where market foreclosure is more likely to occur). An important case settled by CADE in this respect a few years ago (Administrative Proceeding No. 08012.006504/1997-11) involved the football broadcasting rights market. Accordingly, an association composed of the most prominent football teams in Brazil to jointly negotiate broadcasting rights with TV channels used to grant privileges to the biggest local TV channel - a quasi-monopolist in broadcasting football matches - so it could have a preference and cover the bids made by competitors during private tenders. As a result, the tenders used to be awarded by such TV channel. After conclusion of the case, such preference right has been removed and other interested companies can now compete equally for broadcasting rights. CADE is currently conducting a preliminary investigation (Administrative Proceeding 08700.000721/2016-18) into related practices, including broadcasting rights negotiations and negotiations between entities holding such content and pay-TV rights. The Brazilian Competition Act does not provide for any block exemption or safe harbour. As mentioned above, vertical restrictive practices should only be deemed a violation if the undertaking holds a dominant market position, which, according to paragraph 2 of article 36, is presumed when a company or its economic group is capable of altering, in a unilateral and concerted manner, the market conditions or when it controls 20 per cent or more of the relevant market. In this, sense, even though parties could rely on the 20 per cent threshold as a reference for its market position, the law allows CADE to change such criteria for specific industries. Restricting the buyers’ ability to determine its resale prices is one of the practices expressly listed as anticompetitive under the Brazilian Competition Act. Article 36, paragraph 3(IX) defines the conduct considered illegal as ‘to impose on the trade of goods or services to distributors, retailers and representatives, any resale prices, discounts, payment terms, minimum or maximum quantities, profit margin or any other market conditions related to their business with third parties’. Resolution 20/99, in turn, also includes a specific definition of resale price maintenance (RPM), meaning the manufacturer establishing, in an agreement, the price (minimum, maximum or fixed) to be adopted by distributors or dealers. The resolution consolidates the understanding that fixing minimum prices often results in anticompetitive effects, usually related to easier collusive price practices and increases the manufacturer market power, deterring the entry of more competitive distribution and reducing intra-brand competition. Nonetheless, the possible efficiencies arisen by the practice are also taken into consideration in the assessment of the buyer’s ability to determine its resale price. This understanding is reflected in the precedents issued by CADE in past years. The first cases analysed by CADE’s Tribunal were dismissed, owing to the lack of evidence of the imposition of retail prices and market power held by the defendants. In Administrative Proceeding No. 184/94, one of the first cases on this matter in Brazil, CADE analysed Kibon’s (a leading ice cream manufacturer) relationship with its distributors; more specifically, the use of pricing tables listing the values to be charged by the distributors. At the time, CADE emphasised that the practice constituted suggesting and not imposing resale prices. The authority also signalled that aspects such as obstructing free initiative, refusing to negotiate in the future and the mandatory character of the resale prices would be important factors in characterising illegal practice. None of these were demonstrated in the specific case. Further, Consultations Nos. 20/97 and 14/96 (involving companies Ferrero do Brasil Indústria Doceria e Alimentar Ltda and Warner Lambert Industria e Comercio Ltda) addressed questions on the legality of suggesting prices. In both cases, CADE understood that suggested prices would not result in competition concerns. The same understanding was adopted in precedents involving diverse markets, such as sale and distribution of books (Administrative Proceeding No. 08000.018299/96-86) and cement (Administrative Proceeding No. 91/92). provisions for monitoring and penalties for non-compliance with the mark-ups predefined (ie, formal notification and loss of the licence to distribute). It is worth noting that the decision was not unanimous. The Reporting Commissioner initially voted for the case to be dismissed. The Commissioner, followed by the majority of CADE’s Tribunal after a review request, voted for the conviction of the company for RPM, signalling that great caution should be exercised by the authority in cases involving this type of conduct, especially when there is no evidence of efficiencies that would neutralise the negative aspect of the conduct. Indeed, one of the votes for the conviction of the company suggested that, owing to the high concerns related to fixing retail prices, the practice should be presumed illegal and the burden of proof should be attributed to the defendant, who should prove the absence of market power and the existence of efficiencies that neutralise the anticompetitive effects of the conduct. More recently, in 2014, in the analysis of Administrative Proceeding No. 08012.011042/2005-61, CADE also convicted Raízen Combustíveis SA for restricting fuel resellers’ ability to set final prices. The policy adopted by the company included monitoring measures and penalties for non-compliance. The precedents described above show that the practices considered legal by CADE are usually those related to suggestion of resale prices. On the other hand, minimum resale prices, especially when associated with monitoring and punishment measures, tend to raise relevant concerns from CADE’s perspective. Resolution CADE 20/99 establishes that the possibility of benefits resulting from transactional cost savings must be considered and taken into account when assessing the net effects of RPM on the market. Therefore, resale price maintenance restrictions that apply for a limited period to the launch of a new product or brand, or to a specific promotion or sales campaign, or specifically to prevent a retailer using a brand as a ‘loss leader’, are likely to be seen as legitimate commercial strategies that would not be capable of harming the market or consumers - quite the contrary. unilateral increases in the manufacturer’s market power, insofar as it permits the same effect described above of deterring the entry of new and more competitive distributors. In the specific case of after-sales services, this type of restriction also permits, in principle, monopolistic exploitation of users after purchase of products when the alternatives offered to them are drastically reduced. CADE recognises that the practice may guarantee the maintenance of quality standards of differentiated products and avoid effects, such as free-riding from distributors that may offer aggressive rebates, taking advantage of the investment in quality of certain distributors. Nonetheless, although efficiencies are usually presented by the defendants and discussed in the cases involving RPM, they tend to be considered insufficient by CADE in justifying the dismissal of a case involving this type of vertical restraint. The Brazilian Competition Act does not provide for any specific guidance in this respect. Nevertheless, taking into consideration that vertical restraints are analysed under the rule of reason in Brazil (see questions 5 and 15), CADE’s assessment will likely be made on a case-by-case basis, balancing the anticompetitive effects and the economic efficiencies of the practice. The first discussions of most-favoured nations (MFNs) in the Brazilian competition environment became public in March 2018, in an investigation carried out by CADE, with online travel agencies Booking.com, Decolar.com and Expedia as defendants. Since 2016, CADE had been investigating possible abuses involving contracts between these companies and the hotels using their platforms for online sales, after a complaint by the Brazilian Hotel Operators Forum. The three defendants negotiated settlements with CADE (cease and desist agreements (TCCs)) and all of these were approved by CADE’s Tribunal. In summary, the MFN clauses adopted by the three online travel agencies were very broad and, according to the defendants, designed to guarantee that they would offer better prices and conditions to final consumers when compared to the ones offered by the hotels themselves or by competing platforms. According to the studies developed on the effects of said provisions and evidence collected by CADE, the imposition of such clauses would reduce competition between the travel agencies, thus facilitating uniform prices in the market, and creating an obstacle for new entrants. In this sense, by signing the TCCs, the companies agreed to cease the use of these broad MFN clauses. More specifically, they agreed not to use these instruments to require parity in relation to other online travel agencies or to prohibit better offers in the hotels’ offline sale channels (eg, regular travel agencies and phone bookings). Nonetheless, when negotiating the agreements, the General Superintendence understood that the maintenance of the possibility of a parity obligation in relation to the hotels’ websites would be acceptable to avoid free-riding in the online booking market. The TCCs included only behavioural commitments. Owing to the nature of the conduct, the companies were not required to pay any fine or pecuniary contribution. These behavioural commitments are valid for three years. It is worth noting that CADE itself emphasised that the understanding in the case, described above, was in line with the international practice on the subject. See question 24. One of the conditions imposed in the settlement agreements recently signed by Booking.com, Decolar.com and Expedia and CADE was to cease the use of clauses that determined that the same product should be sold at the same price in different competing platforms. Therefore, although CADE has not yet decided any case of this specific nature, the provision in these settlement agreements demonstrates that the authority tends to consider the anticompetitive potential of such clauses. The legality of a MAPP was discussed in a recent consultation (Consultation No. 08700.004594/2018-80) filed with CADE by Continental. Continental intended to implement a MAPP to its retail distributors in the aftermarket tyres segment, aiming to preserve its business model. the absence of any type of discrimination between Continental’s distributors affected by the policy. The market shares held by Continental and its distributors were lower than the 20 per cent threshold established by the Brazilian Competition Act and, therefore, the company was deemed as lacking market power. CADE also considered that the markets affected were not concentrated. It is worth noting that the authority highlighted that the legality of the policy should be reviewed in the case of a market share increase. The fact that the policy was developed independently by Continental, without any influence or pressure from distributors, was understood by CADE as an important sign that the policy would not facilitate agreements or collusive behaviour between competitors. Therefore, this second aspect was also considered a condition for the legality of the conduct. CADE also demonstrated a concern to ensure isonomic and non-discriminatory treatment to all distributors in Brazil. 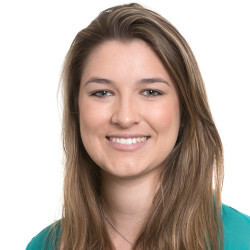 The decision was contested by a dissenting opinion issued by Councillor Cristiane Alkmin, who understood that MAPP should be considered illegal per se, since it would inevitably result in a price standardisation. Ms Alkmin also emphasised that there are relevant specificities for online distributors (such as transportation costs and timing) and there would be no price negotiations, which would inevitably result in a final uniform price offered to the final consumer (equal to the advertised price). The Brazilian Competition Act does not provide for any specific guidance in this respect (see question 23). Resolution CADE 20/99 has a specific provision on territory restrictions and customer base, by which the manufacturer determines geographic boundaries to the operation of the distributors or dealers. Accordingly, practices of this nature may restrict competition and competitors’ entry in several regions, facilitating collusive practices and unilateral increases of manufacturers’ market power. Nevertheless, considering that the practice shall be analysed under the rule of reason, Resolution CADE 20/99 also provides that the possible benefits in terms of transactional cost savings should be taken into consideration when reviewing these cases. Territorial restrictions have been assessed by CADE in the analysis of cases involving ‘radius clauses’, by which shopping centres deter tenants from exercising their activities within a certain pre-established distance. It is worth noting that these clauses, as well as other exclusivity relations, are automatically understood as illegal by CADE. The authority has indeed considered possible efficiencies arising from these types of commercial restraints (such as avoiding free-riding effects and guaranteeing quality standards), determining that the assessment of the legality of the practice should balance the anticompetitive effects and the economic efficiencies resulting from the practice. In the most recent case involving radius clauses decided by CADE (Administrative Proceeding No. 08012.012740/2007-46), several shopping centres located in Porto Alegre were convicted for imposing clauses that were deemed excessively broad on commercial establishments, thus potentially causing the increase in the risk of market foreclosure. the absence of clear, fair and transparent criteria to ground the territorial restriction. The Brazilian Competition Act does not provide for any specific guidance in this respect (see question 23). Moreover, CADE’s general understanding of territory restrictions, described in question 28, would likely be similar in the analysis of a case involving internet sales, considering the specificities of such market. As other vertical restraints, restrictions on customers to whom a buyer may resell shall be analysed under the rule of reason in Brazil (see questions 5 and 15). In this sense, CADE’s assessment will likely be made on a case-by-case basis, balancing the anticompetitive effects (eg, facilitating collusion) with the economic efficiencies of the practice. Nevertheless, CADE would likely consider discrimination against customers without a reasonable economic justification to be a violation. The Brazilian Competition Act does not provide for any specific guidance in this respect (see question 23). Nonetheless, it is worth noting that, in 2018, CADE’s General Superintendence issued opinions on three administrative proceedings involving Google that, to a certain extent, may be relevant. This proceeding investigated Google for allegedly using its market power in the internet research market to use product reviews submitted by clients in Buscapé and Bondfaro’s websites as content for their own price comparison service, Google Shopping. The investigation was triggered by a complaint by E-Commerce Media Group Informação e Tecnologia Ltda, which controls Buscapé and Bondfaro. 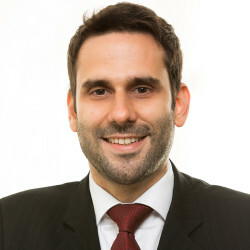 CADE’s General Superintendence issued its opinion in May 2018, suggesting the dismissal of the case considering that there was no evidence that the conduct harmed Brazilian consumers and that competing price comparators advised that they had not been affected by any similar conduct from Google. Reporting Commissioner Polyanna Vilanova issued a vote concluding the absence of proof against Google and determined the dismissal of the case. However, Commissioner Paula Azevedo requested to review the case and a final decision is still pending. This proceeding investigated Google for allegedly reducing the incentives for companies to advertise on both Bing’s research pages (through Bing Ads) and Google pages (through AdWords). The investigation was triggered by a complaint by Microsoft, which owns Bing. According to the complainant, Google planned to include abusive clauses in the terms and conditions for the creation of advertising software on the AdWords platform, which would reduce the portability of such campaigns to competitor platforms. CADE’s General Superintendence issued its opinion in May 2018, also suggesting the dismissal of the case. After contacting diverse clients from Bing Ads and AdWords, as well as advertising firms, it was shown that it was possible to advertise on more than one platform and that Google’s clauses on the creation of software did not limit this possibility in any manner. Therefore, the opinion was grounded on the understanding that the conduct did not create even potential negative effects. This proceeding concerns the claim that, when launching Google Shopping in 2011 in Brazil, Google would have placed its price comparison service in a privileged position within the results of its internet research engine tool, which would infringe the neutrality of Google’s algorithm to favour its service when compared to its competitors. 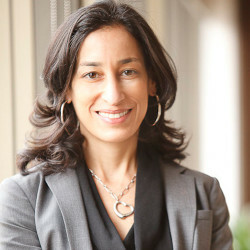 The proceeding also investigated the claim that Google’s decision to position Google Shopping’s results at the top of its research website through image ads in 2013, which would be more attractive to consumers and not available to competing price comparators, would constitute discriminatory treatment. The investigation was also triggered by a complaint by E-Commerce Media Group that both conducts would harm competitors in price comparison websites, reducing their exposure in Google’s results and, as a consequence, forcing them to invest in Google’s paid links. CADE’s General Superintendence issued its opinion in November 2018, suggesting the dismissal of the case. Accordingly, there was found to be no sufficient evidence. Indeed, the opinion indicates that, after market research and economic studies, the conclusion was that there was an improvement in the user experience, for which the innovations introduced by Google should not be considered anticompetitive. In this sense, CADE’s General Superintendence emphasised that, in markets with intense innovation, such as the one under investigation, great caution should be exercised before an intervention, otherwise the innovative effort, inherent to these markets, will be restricted. The three cases are now subject to CADE’s Tribunal’s final decision. Finally, a fourth investigation on Google, opened in September 2016 (Administrative Inquiry No. 08700.003211/2016-94), is still under way at CADE’s General Superintendence’s level. The investigation was triggered by a complaint submitted by the company Yelp and concerns the alleged use by Google of its dominant position to divert search traffic from its competitors to Google+. The Brazilian Competition Act does not provide for any specific guidance in this respect. Nevertheless, an assessment by CADE will likely be made under the rule of reason on a case-by-case basis, balancing the anticompetitive effects and the economic efficiencies of the practice. In addition, the assessment would likely relate to some of the provisions established by Resolution CADE 20/99 for restrictions on territory and customer base or refusal to deal. Their potential anticompetitive effects, therefore, could be related to blockage to, and increase in, barriers to entry into the distribution or supply channels. According to Resolution CADE 20/99, practices such as refusal to deal are usually associated with other anticompetitive vertical practices, such as exclusive dealing, which would probably be taken into consideration in the analysis. Finally, the assessment of possible anticompetitive effects rising from agreements establishing ‘selective’ distribution systems may also take into consideration the criteria grounding the selection. In this sense, systems based on objective and transparent criteria are more likely to be considered legal by CADE. CADE’s leading case in this discussion is Administrative Proceeding No. 08012.003921/2005-10, in which CADE celebrated TCCs with tobacco companies Souza Cruz and Phillip Morris, by which the companies agreed to cease any practices that would restrain competitors’ access to stores (including exclusivity in merchandising, exposition, stock or sale of products). CADE’s main concerns in the case referred to market foreclosure, an increase in barriers to entry and a reduction in inter-brand competition. In this sense, the Reporting Commissioner emphasised that disputes on space availability (ability to stock products) may reach a level of aggressiveness that is not healthy for a competitive environment. Besides the obligations described above, Souza Cruz and Phillip Morris agreed to pay 2.9 million and 250 thousand reais, respectively. ceasing any requirements that distributors sell a single brand of Ambev’s beer per refrigerator, among others. In 2018, when deciding Administrative Proceeding No. 08012.007423/2006-27, CADE decided to convict Unilever, the owner of Kibon (a leading ice cream brand in Brazil), for limiting competitors’ access to distribution channels. As a result of the investigation, the authority concluded that the company would be a leader in the affected market and would have offered rebates and bonuses in exchange for exclusivity in sales, privileged merchandising and the use of refrigerators. According to the Reporting Commissioner, the practice of requesting exclusivity in the use of refrigerators has an economic rationale and should not be restrained. Nonetheless, he reaffirmed that with regards to other types of exclusivity (sales, merchandising and minimum volume), CADE has already indicated that, when the company holds a dominant position, the conduct will probably result in market foreclosure or in the increase of barriers to entry for new competitors. In 2018, when deciding the Unilever Administrative Proceeding described in question 42, CADE convicted and prohibited Unilever, the owner of Kibon, for imposing contracts on distributors with the obligation of selling a minimum amount of products in a certain period of time, subject to the penalty of a fine and the return of the bonus value already paid by Unilever to the distributor in the execution of the contract. Nevertheless, taking into consideration that vertical restraints are analysed under the rule of reason in Brazil, the assessment of new conducts by CADE will likely be made on a case-by-case basis, balancing the anticompetitive effects and the economic efficiencies of the practice. In recent years, there has been an increase in the number of investigations related to vertical restraints in the Brazilian Payments System. The investigations concern the relationship between banks, payment arrangement companies (brands), acquirers and sub-acquirers. At the end of 2018, CADE hosted an event to discuss verticalisation and competition in the national financial sector in which efficiencies and potential concerns had arisen by vertical relations in the Brazilian Payments System. The subject is also being discussed at the Brazilian Senate. In this context, in the last Plenary Session held by CADE’s Tribunal in 2018, CADE’s chairman suggested the opening of an administrative inquiry to investigate verticalisation in the financial sector. Vertical agreements may be subject to merger control if they qualify as a concentration act, more specifically as ‘associative agreements’. at least one other involved economic group registered gross revenues or volume of businesses equal to or exceeding 75 million reais in the year preceding the transaction in Brazil. In order to calculate the groups’ revenues, the general definition of ‘economic group’ takes into consideration: companies under common control; or companies in which any member of the group holds at least 20 per cent interest; or both. Further considerations apply to specific cases (investment funds, for instance). has been executed between parties (or economic groups) that are competitors in the relevant market involved. The last characteristic demonstrates that CADE excluded vertical agreements as a type of associative agreement. Nonetheless, vertical restraints are in fact taken into consideration in CADE’s analysis of merger cases. Yes. Article 9, paragraph 4 of the Brazilian Competition Act, further regulated by CADE Resolution 12, of 17 March 2015, provides for a consultation, under which any interested party may request CADE’s assessment on the application of the antitrust law with regard to a specific factual hypothesis. For a practical example in this respect, see question 16. Any private party, whether or not party to the agreement containing the restraint, may offer a complaint to CADE, including on an anonymous basis. The General Superintendence will then analyse the complaint and decide whether to commence a formal investigation, which will essentially depend on how grounded the request is. The authorities have also discretion to initiate a formal investigation ex officio (without complaints from third parties). In either case, the General Superintendence usually initiates a preliminary inquiry, whereby it gathers further information on the alleged conducts and on the involved parties and market, in order to decide whether or not to commence an administrative proceeding. If this is the case, the concerned parties will formally be summoned to present their respective defences. Once the General Superintendence concludes its investigation, it may decide to dismiss the case or recommend a conviction by CADE’s Tribunal. In either case, the case records are sent to the Tribunal for a final decision, which is taken by a majority of votes, concluding whether to dismiss the case if it finds no clear evidence of violations, or imposing penalties to the defendants. The hearings held by the Tribunal are public, usually taking place twice a month in Brasília, and it is possible to follow the discussion live, through CADE’s website. According to CADE’s public records, in 2018, its Administrative Tribunal decided 21 administrative proceedings: 17 investigating cartels, two investigating cartels and standard commercial conducts and two investigating unilateral conduct. Administrative Proceeding No. 08012.007423/2006-27, which investigated restrictions to the access of competitors to distribution channels in the ice cream market, by Unilever. increased its investigations on possible anticompetitive effects in the vertical relations within the Brazilian Payments System, among other investigations on the subject already being conducted by CADE. CADE is empowered to declare a contract fully or partially invalid or unenforceable if it understands that such agreement violates the antitrust law. In the event the decision affects only certain provisions of the contract, the remaining clauses would remain valid. In any case, parties affected by such decision could bring the discussion to the judiciary branch, where an injunction could be obtained to suspend the effects of CADE’s decision until a final ruling is reached. CADE may directly impose penalties when deciding an administrative proceeding. Nonetheless, as an administrative title, the decision may be contested in court. Penalties that may be imposed by CADE are established in articles 37 and 38 of the Brazilian Competition Act. For companies, article 37 provides that fines may vary from 0.1 per cent to 20 per cent of the gross revenues of the company, group or conglomerate, in the fiscal year previous to the establishment of the administrative proceeding, in the field of the business activity in which the violation occurred, which will never be less than the advantage obtained, and the possible estimation thereof. In the case of recurrence, the fines shall be doubled. There are several discussions on the concepts of ‘field of the business activity’ and ‘the advantage obtained’. In cases involving vertical restraints, the fines imposed by CADE are usually up to 5 per cent of gross revenues of the company, group or conglomerate in the segment affected by the restraint. The largest fine ever imposed by CADE in a conviction for vertical restraints was in Administrative Proceeding No. 08012.003805/2004-10, in 2009, in a case involving an award programme called ‘Tô Contigo’, developed by Ambev. CADE understood that the programme created incentives for exclusivity relations and increased barriers for the entry of new competitors in the market, and imposed a fine of 352 million reais (approximately 2 per cent of the company’s revenues in 2003). Ambev contested CADE’s decision in court and, further, in 2005, Ambev and CADE reached a judicial agreement, by which Ambev agreed to cease the programme and to pay 229.1 million reais. For individuals or legal entities that do not perform a business activity and, therefore, do not register gross revenues, article 37 establishes that the fine will vary from 50,000 to 2 billion reais. There is also a specific provision when the administrator is directly or indirectly responsible for the violation, when negligence or wilful misconduct is proven. Under this circumstance, the administrator’s fine will vary from 1 per cent to 20 per cent of the fine applied to the company. Investigations of individuals for vertical restraints are rare within CADE’s precedents. any other act or measure required to eliminate harmful effects to the economic order. These provisions show that CADE has a wide range of sanctions that include structural remedies (such as the sale of assets) and any measures required to eliminate the anticompetitive effects arisen by the conduct. requesting access and copies of documents supporting an inquiry or proceedings commenced by government bodies. Dawn raids depend on judicial orders and have traditionally been used by CADE in the context of cartel investigations rather than in vertical restraints. Article 47 of the Brazilian Competition Act generically establishes that those injured by an anticompetitive conduct may go to court to defend their individual or collective interests, to seek an injunction to cease the anticompetitive practice and to recover damages. In practice, plaintiffs may seek compensation of pecuniary damages (actual damages and lost earnings), as well as moral damages. Coupled with the provisions in the Competition Act, the Brazilian Civil Code and the Brazilian Civil Procedure Code also set out general rules governing private lawsuits. Moreover, collective actions are further governed by a specific legal system that brings together several laws and regulations, such as the Brazilian Consumer Protection Code and the Public Class Actions Law. Finally, the parties to a lawsuit can challenge all evidence, even when it has been produced by CADE within an administrative proceeding (ie, all evidence of the administrative investigation may be re-examined by the judicial courts), which may lead to contradictory decisions, as well as increase the timing for a lawsuit conclusion, which usually takes at least five years. The first discussions on MFNs in the Brazilian competition environment became public at the beginning of 2018, in an investigation carried out by CADE, with online travel agencies Booking.com, Decolar.com and Expedia as defendants. By signing the TCCs with CADE, the companies agreed to cease the use of these broad MFN clauses to require parity in relation to other online travel agencies and to prohibit better offers in the hotels’ offline sale channels (eg, regular travel agencies and phone bookings). Nonetheless, the General Superintendence understood that the maintenance of the possibility of a parity obligation in relation to the hotels’ websites would be acceptable to avoid free-riding in the online booking market. The General Superintendence’s opinions on three administrative proceedings involving Google were also relevant during 2018. The opinion to dismiss the three cases, as well as the affirmation that in markets with intense innovation, great caution should be exercised before an intervention, to avoid the restriction of innovation that is inherent to these markets, was a very important indication of a possible new trend to be observed by the local antitrust authorities. Finally, both CADE’s General Superintendent and chairman have reaffirmed, on several occasions in 2018, CADE’s willingness to increase its focus on investigations involving vertical restraints in trade. CADE is currently working on guidelines for the analysis of cases involving vertical restraints, which is expected to be released in 2019. The guidelines demonstrate CADE’s enthusiasm to increase its practice on investigations of this nature and will also provide more transparency for companies, lawyers and economists active in the field, indicating CADE’s general understanding of the most important discussions regarding vertical relations.